JAGUAR Land Rover has confirmed it will open a software engineering centre, creating 150 jobs in Shannon this year. In conjunction with Jaguar Land Rover’s engineering team in the UK, the Shannon facility will be working on electric and automated driving vehicles. It will develop new technologies to support electrification and self-driving features on future Jaguar and Land Rover vehicles. Supported by IDA Ireland, the Shannon team will start by developing the next generation of electrical architecture as well as exploring advanced driver assistance systems features for future vehicles. The company says it is looking for engineers with experience in artificial intelligence, safety critical systems and vehicle architecture. It has agreed a partnership with online education provider Udacity, which specialises in courses such as automated driving, artificial intelligence, robotics and data analytics. All of the companies new vehicle lines will be offered with the option of electrification from 2020. It will introduce a portfolio of electrified products across the model range, embracing fully electric, plug-in hybrid and mild hybrid vehicles. The first fully electric performance SUV, the Jaguar I-PACE, is to go on sale this year. Jaguar Land Rover is developing new automated technologies to offer customers a choice of engaged or autonomous driving. 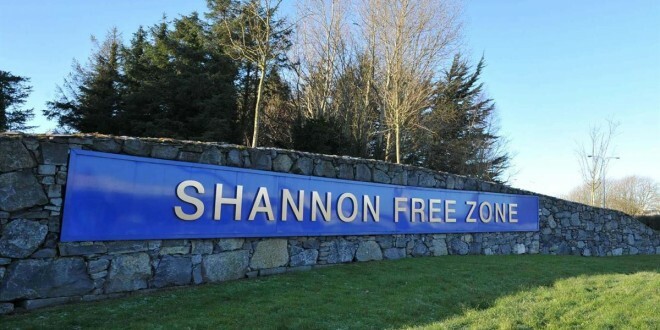 It will locate its new software engineering centre at two new state-of-the-art buildings at the Shannon Free Zone, a four-storey office block and an advanced technology engineering unit, which combined provide almost 90,000 square feet.